Photo by Boris "Puk" Vrskovy. 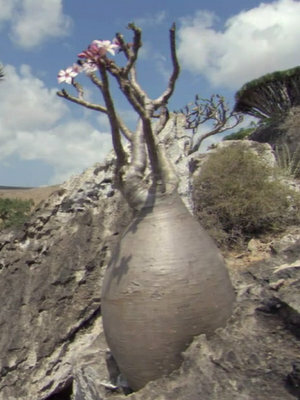 How most people see this magnificent plant. 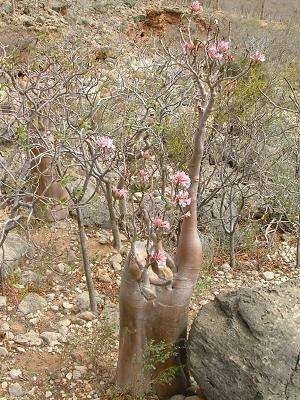 This giant member of the Apocynaceae family was described by Friedrich Vierhapper in 1904. 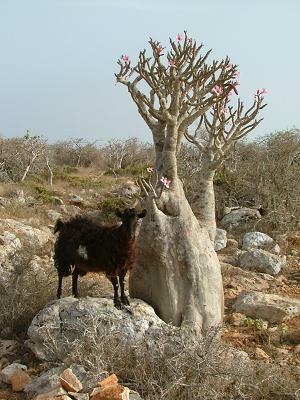 It is found on Socotra, growing in grit or an other well drained soil with little to some water and lots of sun. 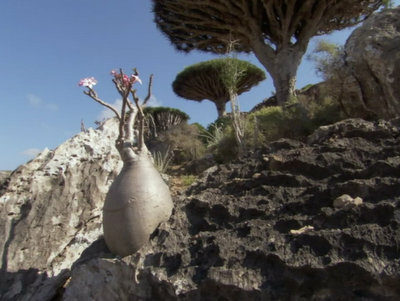 The caudex can grow up to 2,5 meters, the whole plant up to 3,5 meter in height. 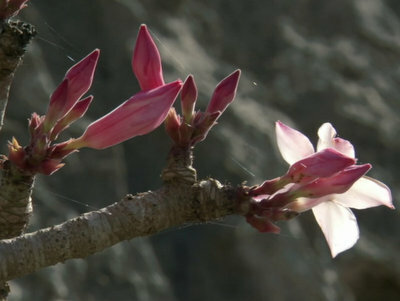 The flowers are pale pink. 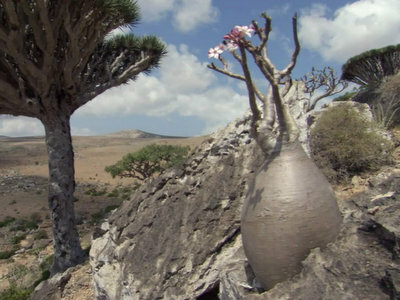 The larger plants survives without much water, but to grow, they will need some, just like the seedlings, which is depending on quite some water. 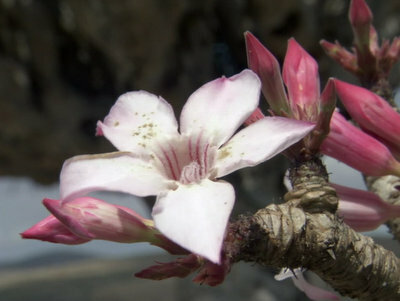 The flowers occurs early in the season, before the annual rain. Soil??? 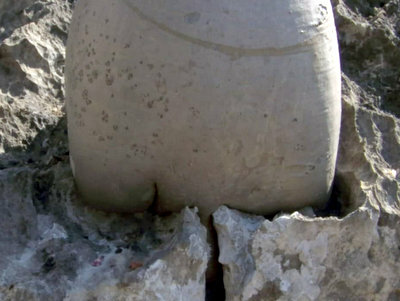 They are able to grow in pure limestone. 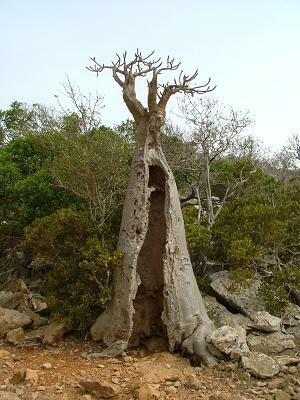 These limestone areas are dominated by Dracaena cinnabari and Adenium socotranum.